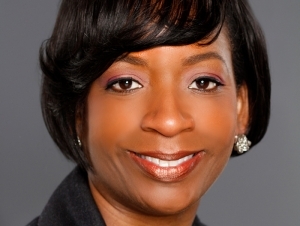 BUFFALO, N.Y. -- Governor Andrew M. Cuomo has appointed Cindy L. Odom, ’96, executive director of Hillside Children’s Center, to the Buffalo State College Council for a term to expire on June 30, 2024. Odom replaces James Brandys, ’71, ’73, who served as a member of the College Council for two decades (1997–2017). “We are delighted to welcome Cindy Odom to the Buffalo State College Council,” said Buffalo State President Katherine Conway-Turner. “Cindy is a dynamic and experienced leader who will bring incredible perspective, including her institutional knowledge as a graduate of Buffalo State, to the College Council. Governor Cuomo has also reappointed Allen F. “Pete” Grum to the College Council for a term to expire on June 30, 2022. Grum, who is president and CEO of Rand Capital Corporation, joined the College Council in 2015. The College Council is responsible for the operations and affairs of Buffalo State. It is composed of 10 members—nine appointees of the governor, and one elected student representative. Appointees serve seven-year terms, and student representatives are elected for one-year terms. Odom currently serves as the executive director of Hillside Children’s Center in Buffalo—a role she has held since 2016. At Hillside, she is responsible for the executive leadership of the Western and Southern Tier Regions, which include Erie, Genesee, Livingston, Niagara, Orleans, Wyoming, Cattaraugus, Chautauqua, Allegany, Steuben, Chemung, and Schuyler counties. From 2015 to 2016, Odom was a council leadership strategist to the Girl Scouts of the USA in New York City. Prior to her position at the national office, she spent 15 years as the chief executive officer of the Girl Scouts of Western New York (2008–2016) and the Girl Scout Council of Buffalo & Erie County (2001–2008). She has also served in posts with SLR Contracting & Service Company, Buffalo Prenatal Healthy Start, Homespace Corporation, and Preventionfocus. Odom, who currently serves as a board chair of the Western New York Women’s Foundation, earned a master of science in multidisciplinary studies from Buffalo State in 1996 and a bachelor of arts in psychology from Canisius College in 1990.